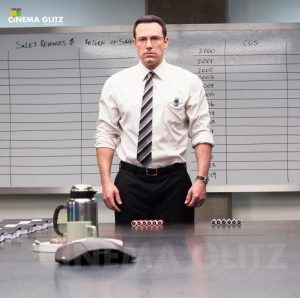 The Accountant Movie Review: This Accountant is lethal, deadly, and most definitely a potential front runner for a franchise to build on!!! What is it about: It’s an action thriller where a young lad with autism, develops to be a Math genius who doubles up to be an assassin sort of an Accountant. When he uncovers a leak in the finance of a big electronics company, he stumbles on to a dark truth. What happens next forms the crux of the story directed by Gavin O’Connor. What to watch out for: The film runs on a tight pace and makes sure to entertain you the entire run time. 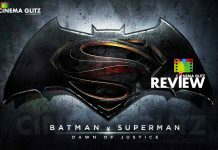 The film confines to the lead character and spins around a tight leash which is backed up by back stories and flash cuts which correlates the track between Ben Affleck and Jack Simmons. But it does fail to unite those plots but overcomes with a screenplay which shadows them. Director Gavin O’Connor has a penchant to elaborate on brother sentiment, and he doesn’t spare us in this too. And the way he weaves that in to the story was smooth. The story telling was mastered by Gavin, who makes the audience nudge the loop holes and make them believe they’re watching a solid screenplay. The acting by Ben Affleck was perfect, he did the role with ease which required a stature and poise to carry off both the personalities. And most definitely this character will become super-hero for the Autistic children. A sweet interpretation was done which sways its sentiment perfectly. The supporting cast by JK Simmons, was a good one and Anna Kendrick makes a strong case as Dana Cummings. Jon Brethnal as Brax was apt for the character. The cinematography by Seamus McGarvey was excellent, it had a great tone and clarity which was required for this thriller. And that was perfectly cut by Richard Pearson. The music by Mark Isham was grim and pulsating setting the right mood. The sound mix was perfect which was perfectly in sync with the film and had a crunching effect. The action was crisp which had the traces of John Wick. Verdict: Gavin O’Connor did a fine job in deriving an action thriller which mixes the sentiments in the required streams and boils up a feature which keeps you engaged throughout the film. And that was well supported by Ben Affleck and the supporting cast. Definitely worth a watch, and make sure to catch it on a well-equipped screen. 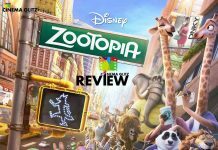 Zootopia Movie Review: Zootopia is a de-stressing capsule to be taken with child supervision, an absolute fun ride with Judy & Nick!!! Matt reprises as Bourne once again! !